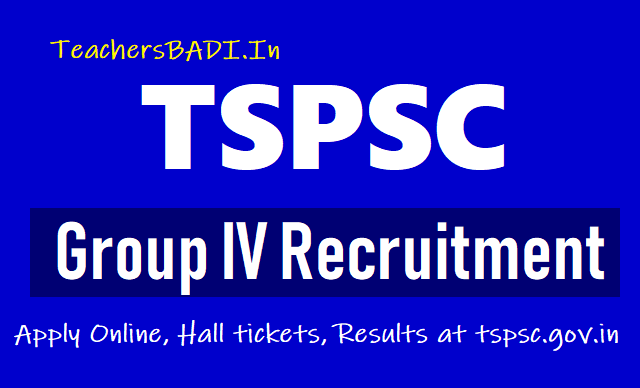 TSPSC Group 4 Posts Recruitment exam Answer key, Results 2018,TSPSC Group 4 Posts Answer key, Results 2018: TSPSC Group IV Recruitment 2018, Group 4 exam to be trilingual (English, Telugu, Urdu), TSPSC Group IV Recruitment 2018 / TSPSC Group IV Recruitment 2018, Edit Options upto August 16: Apply now for 1521 posts on tspsc.gov.in, check details here: TSPSC has released the recruitment notice for 1521 Group 4 Vacancies in TNPSC Recruitment 2018 on the official website. The Apply Mode & Starting Date and Closing Date for TSPSC Group 4 Notification has been released on the official website. TSPSC Group 4 Final Answer Keys on tspsc.gov.in: Candidates who had appeared for the TSPSC Group IV Exam 2018 must keep a close tab on the official website to download the Answer Keys once it’s released by the Telangana State Public Service Commission (TSPSC). TSPSC Group 4 Final Answer Keys are released by the Telangana State Public Service Commission (TSPSC) on its official website – tspsc.gov.in. The Commission had successfully organized the TSPSC Group 4 Examination 2018 on 7th October 2018 across the state of Telangana. TSPSC aims to fill 1521 vacancies for Group 4, JA in RTC and Bill Collector in GHMC and various other posts in Beverages Corporation via this recruitment drive. Candidates need to score minimum 40% marks (35% for BC and 30% for SC/ST) to qualify the OMR Based Examination for TSPSC Group IV Recruitment 2018. The qualified candidates will be invited for Certificate Verification and those who clear the CV process will be eligible to appear for the Proficiency Test, which is of qualifying nature only. Candidates who had appeared for the TSPSC Group IV Exam 2018 must keep a close tab on the official website to download the Answer Keys once it’s released by the Telangana State Public Service Commission (TSPSC). Telangana State Public Service Commission (TSPSC) has released the final answer key of Group IV Services exam held on October 7, 2018. TSPSC conducted the examination to fill 1,521 vacancies of Group IV, junior assistants in TSRTC, bill collector in GHMC and various posts in Telangana State Beverages corporation Limited. The examination consisted of 300 questions carrying 300 marks. There were 150 questions on general knowledge carrying 150 marks and 150 questions on secretarial abilities carrying 150 marks. The examination was conducted in three languages: Hindi, Telugu and Urdu. Candidates will be selected on the basis of marks scored by them in the examination. Apart from the written test, proficiency test in computers will also be conducted, which will be only of qualifying nature as the marks obtained in this test will not be considered in selection process.Candidates will be selected and allotted to service/department on the basis of their rank in the merit list and as per the preference of department and district for allotment of candidates against vacancies and for the vacancies available. The recruitment examination to the vacancies of Group-IV services will be trilingual i.e., in English, Telugu and Urdu. And this is for the first time that the Telangana State Public Service Commission (TSPSC) is conducting a recruitment test in the Urdu language. The PSC has notified 1,595 vacancies of Group-IV services for which over 4.35 lakh candidates have registered for the recruitment examination, which is scheduled to be held on October 7. Candidates opting for the Urdu language would have questions in English and Urdu whereas for others it would be in English and Telugu. The test will consist of two papers with Paper-I to have questions from general knowledge while Paper-II will test the secretarial abilities of the candidates. Selection of the candidates will be based on the merit secured by the candidates in the objective type examination. The absence in any of the paper/papers will automatically render his/her candidature for disqualification. This apart, a proficiency test in computers will be also conducted for candidates those who are picked up in the ratio of 1:2 (one post, two candidates) after the written examination. The candidates are required to qualify in the proficiency test for the purpose of selection. “It is only a qualifying test and the marks secured by the candidates will not be counted for the purpose of selection,” the PSC notification read. Meanwhile, along with the Group-II services examination, the TSPSC would be conducting a common recruitment test for the vacancies of bill collectors in the Greater Hyderabad Municipal Corporation and in the Telangana State Road Transportation Corporation on October 7. The Commission has decided to hold a common examination as qualifications, syllabus and scheme of the examination for the said vacancies were the same. TSPSC Recruitment 2018: Telangana State Public Service Commission, TSPSC has released the recruitment notice for 1521 Group 4 Vacancies in TNPSC Recruitment 2018 on the official website. The Apply Mode & Starting Date and Closing Date for TSPSC Group 4 Notification has been released on the official website. Aspirants can find the Eligibility details like Educational Qualification, Selection Process, Age Limit, Online Application, Application Fee and other details of TNPSC Group 4 Recruitment 2018 on tspsc.gov.in. Applicants are to note the eligibility criteria for the TSPSC Recruitment 2018 is that the applicants must be a Graduate from any govt recognized university or Institution can apply. The minimum age limit for the candidate is 18 years and the maximum limit for an aspirant is 44 years.The age relaxation is as per the rules of Telangana State Public Service Commission, TSPSC. TSPSC has released the recruitment notification for Revenue Department, Panchayat Raj Department, Commercial Tax Department, Home Department, I&CAD, Disaster Response and Fire Services, Telengana Vaidhya Vidhana Parishad, Director of Medical Education and forest department, as per the release. Aspirants are advised to note the important dates - Submission of online applications from June 7. Last date for submission of online applications date July 6. Hall Tickets can be downloaded 07 days before commencement of Examination. The Examination (Objective Type) likely to be held on October 07 FN & AN. Click on the TSPSC apply online link and enter the required details in Telangana PSC Online Application Form. Pay the Application Fee and Scan & Upload all the required certificates along with Photograph (if required). Click on Submit Button to Complete tspsc.gov.in Application Process. Students can take Printout of Application form for further use.